Hello, hope you are all enjoying your weekend! It's been a beautiful weekend but deceiving! You look out and you think it's warm but it's not! So weird!! Ok first up is a photo of my nails! 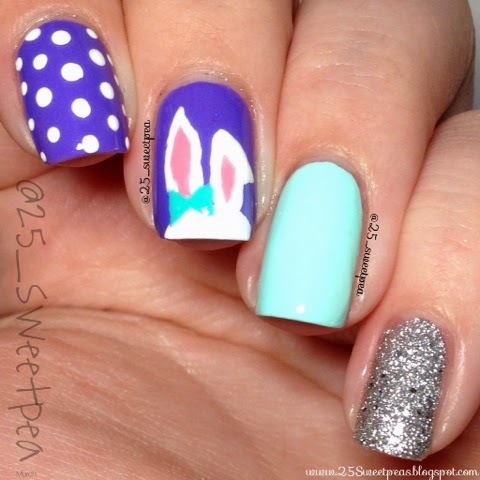 We went for an Easter look since it's only a week away! 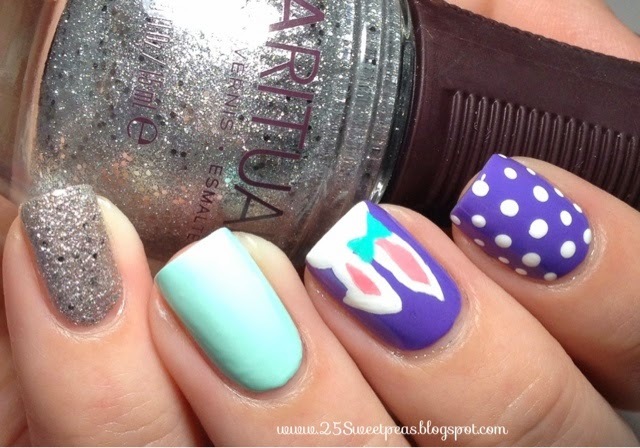 ;) These were inspired by a super cute mani Alaina found on Pinterest. I really think we can all agree that Pinterest is an amazing place for inspiration. So for these I used 3 different polishes. The purple is Wet N' Wild On a Trip. The minty color is China Glaze At Vase Value. Then the lovely silver glitter is SpaRitual Charleston. 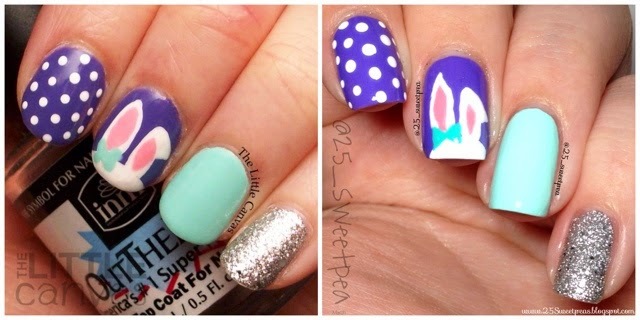 The dots and bunny details were done with acrylic paint, my dotter, and a tiny acrylic paint brush! Next up is our side by side for our matching nails! They are so cute! Alaina's look gorgeous! If you aren't familiar with her work you must check out her blog The Little Canvas! What a cute name too! Also you can find her at all of these below places by clicking on them, and on her blog she will have a complete post based on her nails from this collab as well.